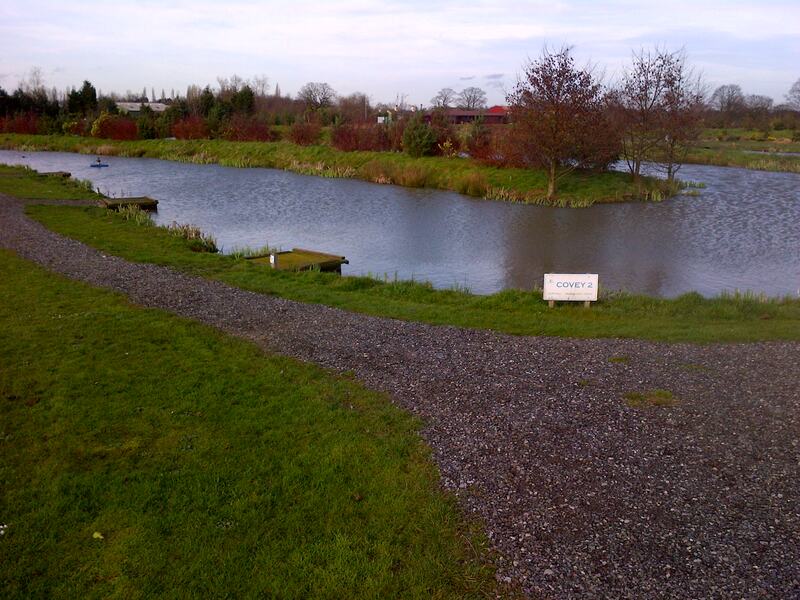 I have been back to partridge lakes today to contest the open match and as I hadn’t been here for over a month so i was looking forward to get back to grips with the place as I will be doing the individual here after Xmas , but looking at the recent results it looked like i was glutton for punishment because they hadn’t been great after the unexpected cold snap which had frozen the lakes and yet again the weather today was awful with cold drizzle melting the remaining ice on the lake’s so I expected things to be tough going and a decent draw would be an advantage . On arrival to the fishery i met up with a few of my new Leigh tackle match team squad members and it was nice to put a face to the name , all the talk was of how difficult it could be and it soon came round to draw time so we all joined the queue when it came for my turn to dip in the bag of doom , I ended up on peg 40 covey two which was somewhere I hadn’t been before as i very rarely draw on this covey , on arriving at my home for the next few hours I was disappointed to find that it was only 11m wide and the aerator had been taken out but i did have a nice reed lined far bank + left hand margin . channel rig six meters towards my left it was nearly 6ft deep so i used a 4×12 Md maggot float with a bulk plus two dropper shotting pattern and my main line was the usual 014 garbo which had a six-inch 010 garbo hook length attached . 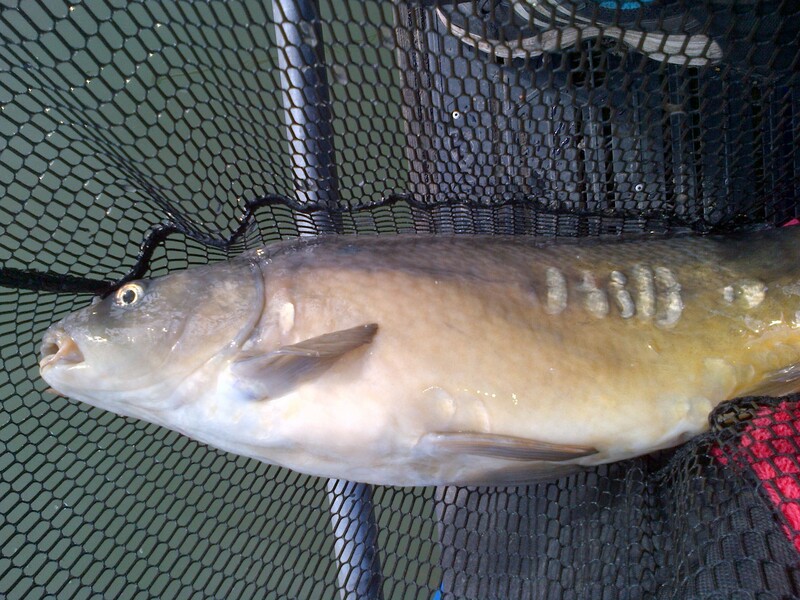 4ft rig i found a couple of swims across at the same depth and i used a 0.2 Md maggot float which had a staggered bulk shotting pattern starting above the six-inch 010 garbo hook length my hook was a size 20 guru maggot hook . 3ft rig i didn’t really expect this to work today but set it up just in case , my float was a 4×10 Md maggot which had an on the drop shotting pattern and my hook length was six-inch of 010 garbo . dobbin rig i used a 0.4 Md diamond float with all the shot under the float with two number eleven stotz spread along my 014 garbo main line which had a six-inch 010 garbo hook length attached to it . When the all in sounded I began by dobbin bread towards the far bank reeds and I worked all along my left hand side without so much as a sign, i tried my right hand side but kept getting snagged up on sunken reeds which no doubt disturbed all the fish in the area and after an hour without a bite I switched to my 4ft maggot swim towards my left as i had earlier seen a fish top that way , after a couple of feeds I had my first indication which was a positive sign because nobody with eye shot had caught anything yet and not long after I had my first f1 which was nicely hooked in the tail then a further twenty minutes past before I had any more bites but I then had a run of three f1’s in a ten minute spell. Another twenty minutes past with out an indication so i had a look on my track line which i had fed with a large kinder pot of maggots since the match started and after a missed bite straight away I then had another f1 in the net but that was the only fish I had from that swim, I added on a section to my pole and put in another line at 4ft across i started by tapping in a few maggots again this got me another couple of fish but it was very hard going , for the next couple of hours I set up multiple new swims just catching a couple from each but strangely never had an indication towards my right side and i think it was probably due to the earlier disturbance when i kept getting snagged up in the reeds . In the last thirty minutes i had reached the extremes of my peg along the far bank so I went back in the track and i expected to have a little run of fish here but i never had a sign, at the all out I had managed a dozen f1’s which was better than those anglers around me but i did lose a couple as well, when the scales arrived I ended up with just short of 18lb and ended up missing out on the board by a few ounces so i probably came 7th out of the forty anglers fishing today but I’m happy with how my match went after not being here for a while. Today i decided on another change of venue and i had prepared all week for another try at Blundells but due to family commitments i had to get back home pretty sharpish after the match so i choose a trip to Partridge lakes instead which was a bit more local to me and also a five-hour match unlike my original fancy of venues , it had also thrown up some nice weights recently plus it was mainly mud bank work which would come in handy for a bit of practice before the next round of mosella summer league at Hall lane as i don’t tend to do a lot of this sort of fishing . I hadn’t visited the fishery since the fisho qualifier a couple of months ago so i expected to be a bit of the pace but it was a day’s fishing and i was really looking forward to it especially as the weather was forecast to be quite reasonable with warm temps , a light breeze blowing towards spey and overcast conditions but on the down side we was forecast to get a few heavy showers during the day but thats the english summer for you . 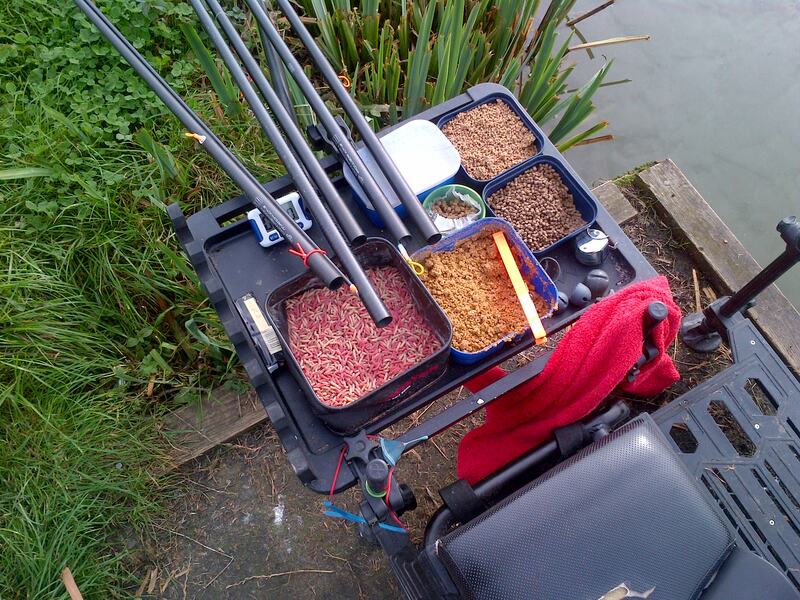 After catching up with a few of the regulars which i had not seen for a while and before i knew it was nearly draw time so i joined the queue towards the rear , when it came for my dip in the bag of doom i pulled out peg 31 on covey two not exactly where i wanted to be and in my opinion it was one of the worst on the complex i’m afraid that my golden arm has completely deserted me for the time being but i shouldn’t really complain because i have sat on my fair share of flyers so far this season . mud bank in 18 inch and i used a 0.3 MD diamond float with a bulk of shot above the 012 garbo four-inch hook length . margin in 1.5ft and i used a 0.3 MD margin float with an inch spread bulk starting above the 012 garbo four-inch hook length . 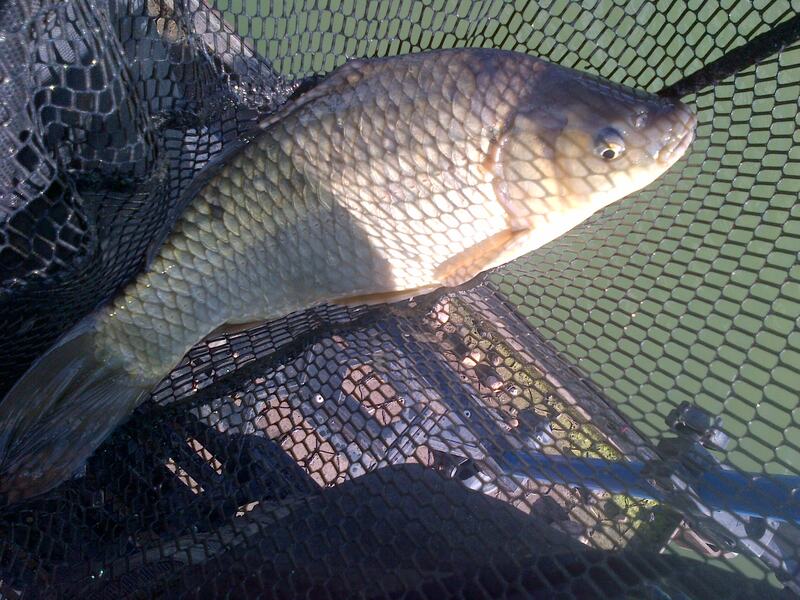 pellet rig in 2.5ft for fishing in front of the far bank reeds and along my left hand margin at four meters , i used a 4×12 MD pellet float with a centimeter spread bulk starting above the 012 garbo four-inch hook length . shallow rig in 2ft and i used a 4×10 MD mini mag float with four number eleven stotz spread along my 014 garbo main , attached to it was four-inch hook length of 012 garbo . 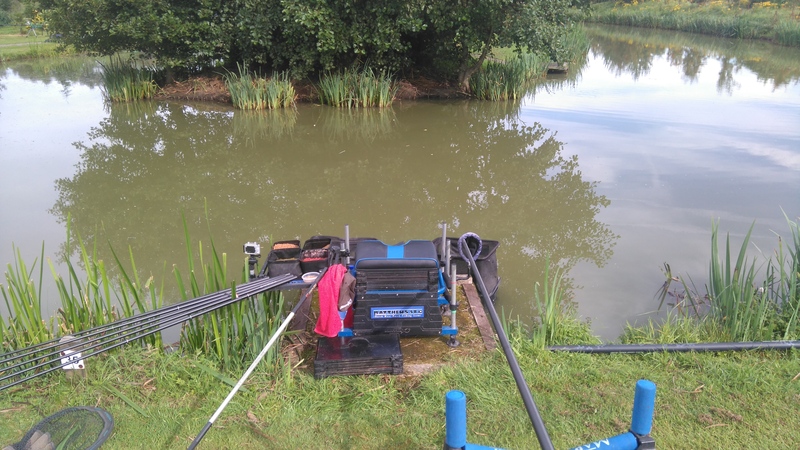 deck rig which i plumbed up at five meters underneath my shallow swim and as it was a touch over 5ft so i used a 4×12 MD maggie float which had a bulk plus two dropper shotting pattern , my main line was the usual 014 garbo and hook length six-inch of 012 garbo . When the all in sounded i didn’t think the mud bank would be right so soon into the match after the overnight rain and i began on my pellet line in front of the far bank reeds , i picked a dark reed as a marker then i dropped a nugget of crushed expander which i hoped would attract some f1s into the swim , five minutes without so much as a liner and my next move was to start taping in a few micros , a further ten minutes past before i had my first fish although i wasnt expecting it to be a gudgeon and before the match i had purposely decided to stick it out on one line for as long as i could because i felt this was something which had let me down recently , as i usually try to chase the f1s around the peg more like winter fishing rather than concentrate on trying to get my feeding right so that i could get them competing on one line which is what you need to do for a good weight . In the next forty minutes i put four f1s + two stockies in the net but after that initial flourish the gudgeon returned in numbers which was not a good sign , i swapped swims to the other side of the reeds so i could start again and i would hopefully be able to switch between them both picking the odd fish of each , my left hand line never really got going as it only produced a couple of f1s but to be honest neither of them did and there was definitely a lack of fish in front of me . 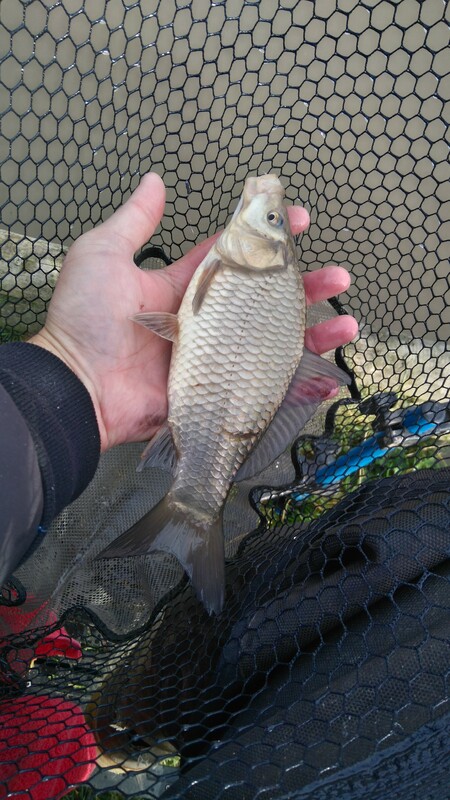 I put two cups of ground-bait on my mud bank then went long down my left hand margin with my pellet rig in 2.5ft i started the same as i did on my across line by feeding a nugget of crushed expanders then tapping a few micros other the top , this swim got me a few stockies before bites tailed off but i didn’t have to wait too long before i found out why as i struck into something a bit more substantial which took me under the spare platform then broke my hook length so that was one nil to the carp . 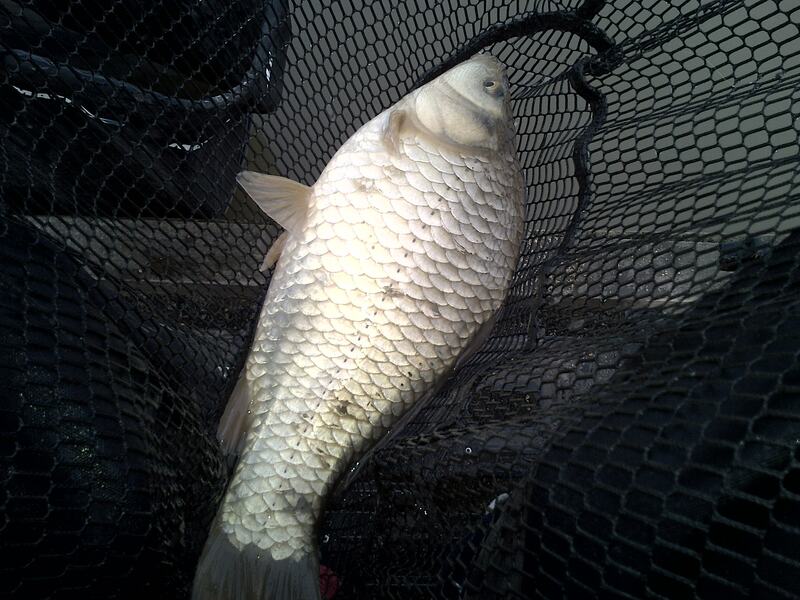 By continuously feeding a few pellets i began to build up the swim and i managed to pick up the odd better f1 among the stockies but it was slow going , i saw a swirl on my mud line where i had earlier fed some bait a quick change of rigs then i was shipping across and no sooner had my rig settled then it shot under , a sharp lift of the pole tip resulted in a small silver skimming across the surface and a few more followed but no proper fish maybe i was correct about the rain putting them off from going tight to the bank . I had fed my shallow line since the match started and although i had not seen any signs of fish i decided to give it a whirl because nothing else seemed to working for me , but yet again all i could catch was small silvers and i noticed that underneath this line was a few bubbles coming up so i dropped on this just to see what had settled on it , my bait had only just touched bottom when my float dipped under and after a spirited fight up popped a barbel which took me a bit by surprise as i hadn’t caught one from the proper coveys before , i missed a couple of quick dips on the float and i hoped that a few more were rooting around so with nothing to lose i took the option of potting in some maggots just like you would over winter , doing this got me a little run of f1s before they backed off so i gave it another pot and as i let it settle i went back across to the mud line this time i managed an f1 among the small silvers but it just wasnt right , i had a look on my long margin with pellets but that didn’t really kick off either so i spent the remainder of my match down the channel where i picked up the occasional big f1 and it was a tactic that i never thought would work during the summer months . When the all out sounded it called time on a rather frustrating day as i just couldn’t get a run of fish but maybe there wasnt a lot in front of me today and at the start i had set myself an optimistic target of thirty fish which i did manage if i included the handful of stockies , although i did feel that i had been comfortably beaten on both sides as it looked like they had put the odd fish in the net quite often during the day and when the scales finally arrived my fish went just short of 46lb , which was more than i had thought plus i was surprised to find that i had beaten the two anglers either side of me , but i was a long way from challenging for the section as the windward end produced a 80lb+70lb and that was only to be expected , so although i didn’t really do a great deal today i strangely enjoyed it and might have had a chance from a very poor peg if the fish had turned up on the mud bank but it wasnt to be . 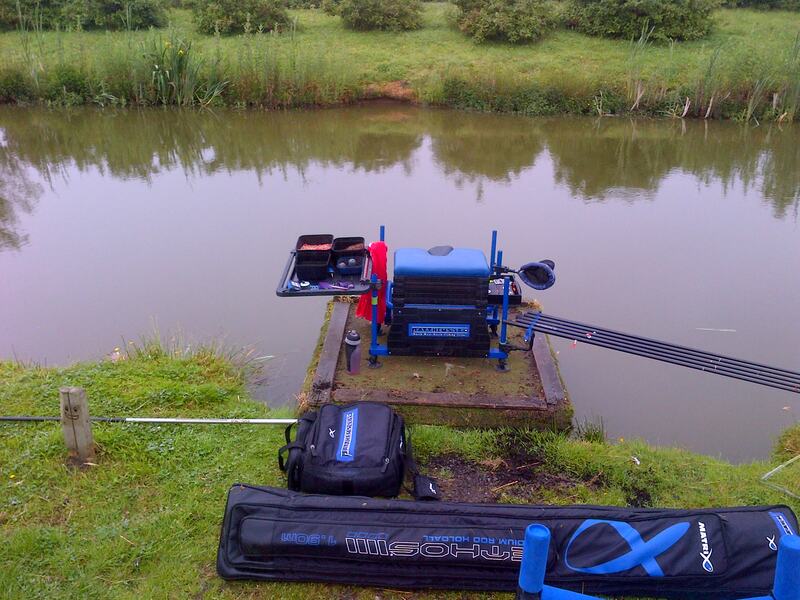 After Thursday’s eventful match at Partridge lakes i decided on a quick return visit to see if i could put into practice what i hoped that i had learned from last time as the weather conditions where the same with it being calm+sunny ( a better draw wouldn’t go amiss as well ) . 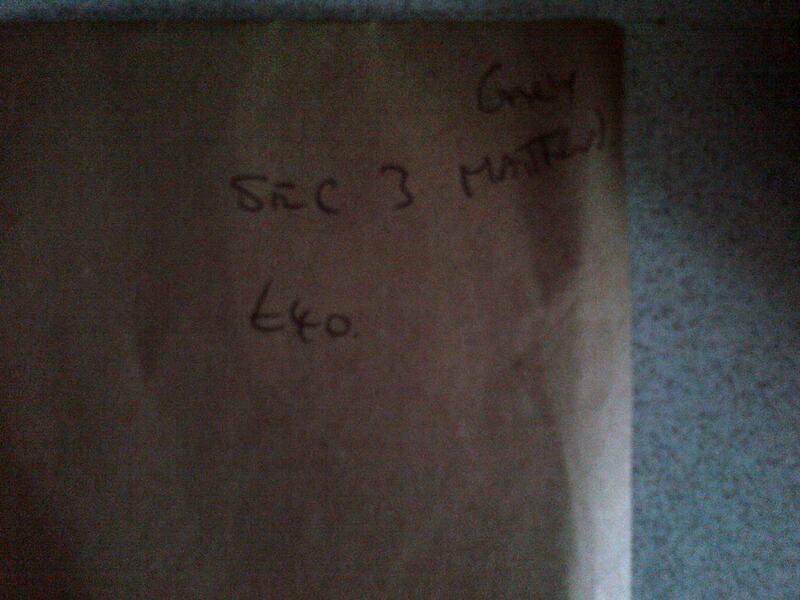 On arrival to the venue i booked in at the cabin before grabbing a bacon sandwich and before i knew it was time to start queuing for the draw when it came for my turn in the bag of doom i pulled out peg 35 on covey two ( not again ) but at least i had a good idea on how best to fish it which might give me an advantage over the others that were in my section . Top three it was just under five foot deep and as i would be using pellets my float was a 4×12 roob float with a spread bulk above the four-inch 012 garbo hook length . Margin swim which was top three towards my left at the side of some reeds it was around 18 inches here so it should be the perfect depth and i used a 0.4 jadz float with a spread bulk above the 4 inch 012 garbo hook length . 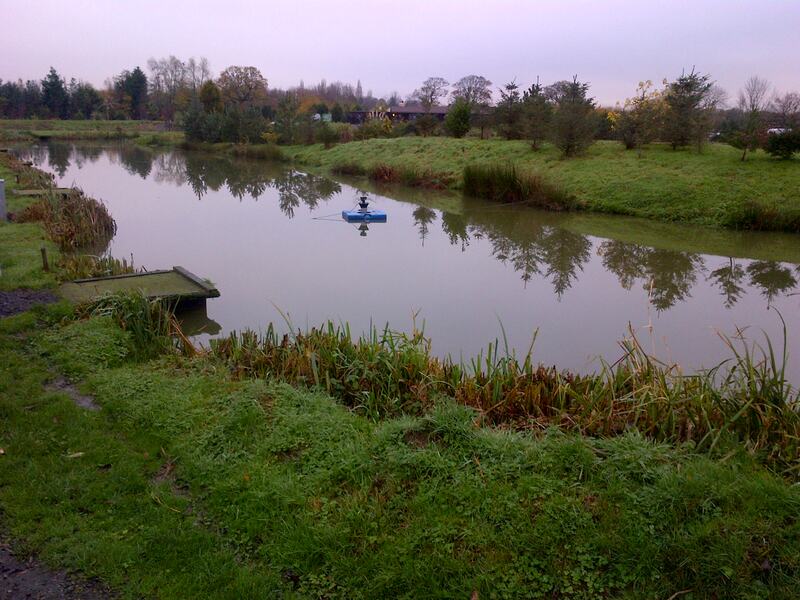 My far-bank swim was just over two foot deep and after plumbing around i found two flat spots on either side of the reeds it was also the same depth in front of the empty left hand platform so i used a 4×12 roob float with a spread bulk above the four-inch 012 garbo hook length . 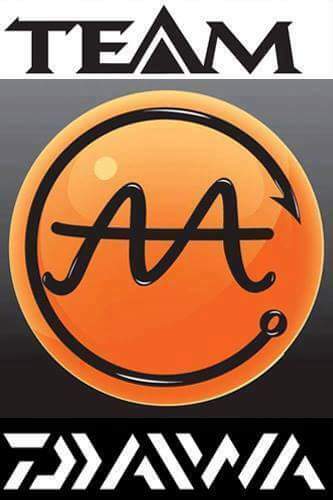 When the all in sounded i began on my top three-line at the bottom of the shelf and i was flicking in the odd 4mm pellet but no bites after 15 minutes soon had me going to my left hand far-bank swim and i taped in a nugget of ground-bait before holding my rig still over the top of it i sprinkled in some micros every couple of minutes to try to attract something into the swim , it took about twenty minutes before i had my first f1 another quickly followed before i started getting strange indications my rig wouldn’t settle properly either and i persevered on this line for too long the first hour passed without adding a great deal to my net . A change of swim was in order so i went onto my right hand clump of reeds and started again this worked out a lot better for me as i managed a good run of f1s somewhere around the two-pound mark it was noticeable today that they wanted a bit of feed going in today unlike on Thursday when they backed away from it ( especially ground-bait ) But after a good spell of catching i stupidly foul hooked a fish by striking at the wrong bite it went through the edge of the reed bed and unsettled the shoal , my next few bites were from gudgeon i could never get the swim back to how it was and thinking about it now i should have put on another section following the reed bed round towards peg 49 but you live+learn i had been pinging pellets towards the left hand platform but didn’t want to go on it too soon . 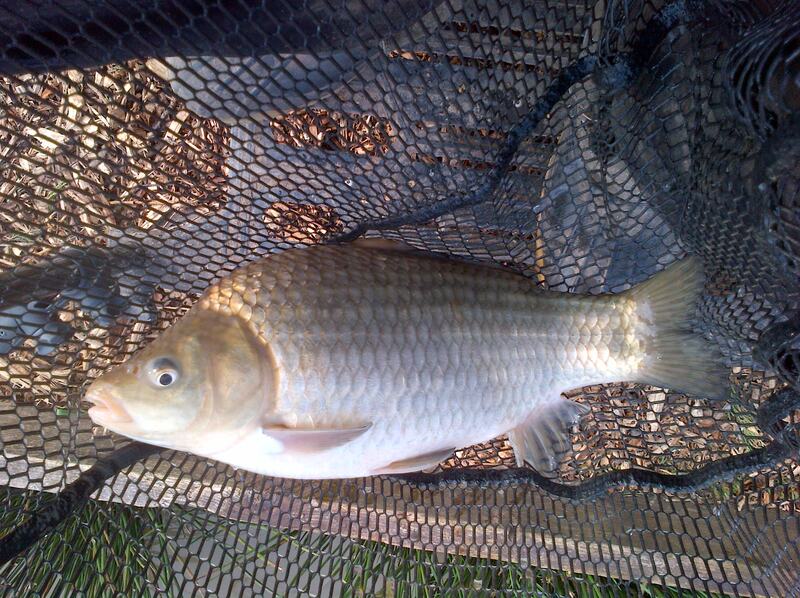 I had put in the odd pot of ground-bait tight to the side of the reeds so i decided to drop on it with four maggots on the hook and i was getting the odd line bite ( which was a promising sign ) after about ten minutes i had my first proper bite which resulted in a nice stamp f1 hitting the net but after that i couldn’t catch anything decent if i put maggots on the hook i caught perch then when i changed to pellets i had small silvers ( not good ) I went back on to my far bank right hand swim and picked up the odd f1 but they wasnt there in any numbers so i decided to try in front of the empty platform , when i dropped my rig in i was getting lots of line bites but it was hard to get any proper indications and i changed my shotting on my rig to allow for a slower fall of the hook bait this allowed me to catch a few fish , i felt that if i big potted in some ground-bait then it might get the fish on the deck and to some extent it did as i went on a good run of f1s plus the odd carp but i did foul hook the odd fish which took me right under the platform . As the all out sounded i had caught thirty f1s+carp including one right on the whistle i was unsure how i had got on because i could only see one other angler who wasnt in my section and i had kept up with him , when the scales arrived i was the last to weigh in and 78lb was winning the section i knew that i hadn’t got that , my nets went just under sixty pounds so my slow start to my match had cost me yet again and i need to sort this out if im ever going to challenge for the section or better , overall the match fished quite hard 120lb winning with a low 80lb getting in the top six so i wasnt that far away and i am really enjoying my time back at Partridge lakes i just hope that on my next visit i can avoid covey two . After managing to get a few days off work I decided to take the opportunity to re-acquaint myself with the coveys at Partridge lakes as it has one of the biggest attended open matches in the country and I hadn’t been here since the Maver match this qualifier a couple of months previously , like most f1 venues it can take a while to get back into the swing of things and now that shallow fishing is on the way out it will more than likely be my winter venue in between the winter league at Old hough. 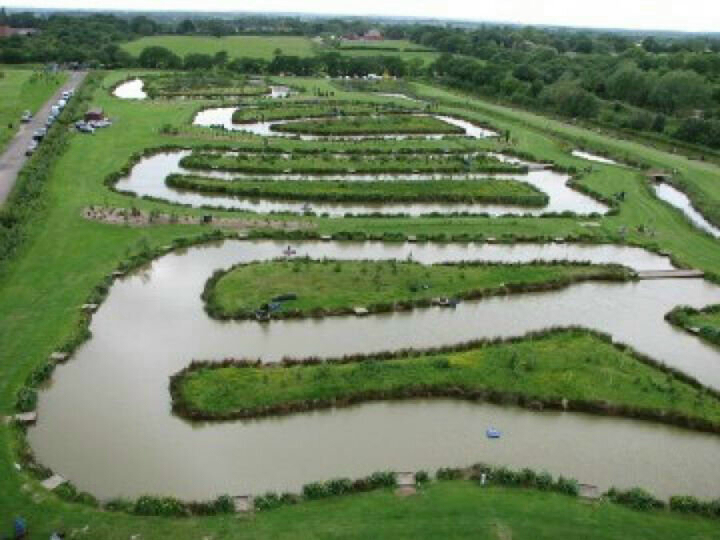 After arriving at the venue just before nine I grabbed a bacon sandwich before booking on to the open and looking at the recent results I decided to get three pints of maggots rather than casters from the on site tackle shop , it was soon time for the draw yet again for a mid-week match there was over forty anglers in attendance when it came for my turn in the bag of doom i pulled out peg 48 and after speaking to Andy Bennett he wasnt to optimistic about draw saying i would be better off targeting the ide . Far-bank i plumbed up to find a couple of flat areas in a depth of three-foot so i could rotate lines when bites started to slow down and i used a 4×12 roob float which had a spread bulk above the four-inch 012 garbo hook length . Margin swim top three towards my left , it was nearly two foot tight to the bank at the side of the reeds so i used a 0.4 joof float with a spread bulk above the four-inch 012 garbo hook length which gave me a very stable rig . Deck rig at six meters i didn’t really expect to be using this today but it is always handy to have set up underneath your shallow line and i used a 4×14 maggie float which had a bulk plus two dropper shotting pattern , my main line was the usual 014 garbo and hook length was six-inch of 012 garbo . Shallow rigs i set up one at a foot the other at two foot , both floats were the same matrix series three float in a 0.1 and they had three number eleven stotz spread along the 0.14 garbo my hook length was a 0.12 garbo . When the all in sounded i began feeding my shallow swim with maggots before shipping across to my far-bank marker and deposited a kinder pot full of micros the first thirty minutes were a proper right off as i only managed a couple of f1s even though i was feeding every five minutes to try to attract some fish into the swim , i plumbed up a new swim a meter to my right at the other side of the mud bank and started because as you all know f1s can be very reluctant to move at times but yet again this didn’t really produce how i would have expected . So while i pondered my next move i decided to drop onto my left hand margin in front of the reeds which was the same depth as my across swims , after kinder potting in a ball of groundbait to try to kick-start the peg and a had a big f1 straight away but another bite less twenty minutes had me scratching my head , as i had fed my channel swim since the start of the match i hopped that this could get me out of trouble although this still off fishing wasnt really working for me so far this year . I shipped out to six meters and chucked in two lots of a dozen maggots then flicked my rig in over the top no sooner had it settled when it pulled under but it wasnt what i wanted to be catching though because small silver after small silver kept taking the bait , increasing the feed did not help and neither did altering the depths i just had to try to plough through them but they was really doing my head in because i was catching a dozen of them before i managed an ide ! ! I noticed a few bubbles coming up from under my shallow line and thinking that there maybe a couple of f1s sitting there i picked up my deck rig but those bloody silvers were still grabbing the bait on the way down , i put all the shot on my line above the hook length and dropped the rig in a heap so it bolted its way to the bottom by doing this i managed a couple more f1s but yet again the silvers were a problem . Two hours into the match with just eight proper fish in the net you can safely say things weren’t going to plan and with the other anglers in eye shot also struggling i choose to plumb up a new swim in slightly deeper water in front of the reeds , i also changed to my smallest kinder pot deciding to be ultra negative holding my rig really still over the top of it because i could always feed heavier if it didn’t work but with the fishing being hard i had nothing to lose , i began trickling in a few micros every couple of minutes i managed to draw a few fish into the swim after beginning to get some indications i had the confidence to keep doing what i was hoping to do and i soon had the f1s competing which made them easier to catch i had a quick run of six before they backed off . I replumbed up a new swim a foot to my left then started again this produced another burst of fish and for the remaining part of the match i had to chase them all along the far bank to be honest it was just like winter fishing even though i wasnt really catching that well i enjoyed it immensely which goes to show you don’t have to be bagging all the time . As the all out sounded i had managed to catch 28 f1s plus a couple of ide for just short of forty pounds and the lake was won with ninety pounds then seventy pounds coming second , if i had worked it out a bit quicker i might have managed the latter weight but i didn’t expect the fishing to be that difficult today plus i wasnt in touch with the venue after spending so long away . Overall it had fished really well with 150lb winning the match and 130lb needed to get in the top six so as you can see the other coveys had fished a lot better than the one i was on , hopefully i will be back for another try over the weekend and i just hope that i can avoid covey two . Thanks for taking the time to read my blog . After last weekends eventful match at Partridge lakes where i drew on covey one and managed to lose more carp than i caught , i wondered just what today would bring ! ! ! As i began queuing up for the draw i noticed on the results board that covey five had done well recently but it wasn’t my style of fishing with it being small 8oz f1s the target species and the last two visits there hadn’t gone to well , so i hoped to give that covey a miss and for once i was in luck because out popped peg 23 on covey two but on the down side it wasn’t far away from where my mate had struggled last week plus it was at the side of a bridge and with it being only nine meters wide and to be honest i just didn’t fancy it . It did although give me plenty of options but i am still finding it hard to get away from having a plan on how to fish it before i draw than asses my peg when i get to it and today i wanted to fish pellet across at 2ft deep plus in the margin with paste , my peg though didn’t really allow me to do it but i still had that mind-set and tried to make it work . The other rig that i set up was one at a foot deep which turned out to be my best one of the day and to be honest i only decided too because their was a few carp showing shallow and i thought the fish might come up of the deck as the day progressed . 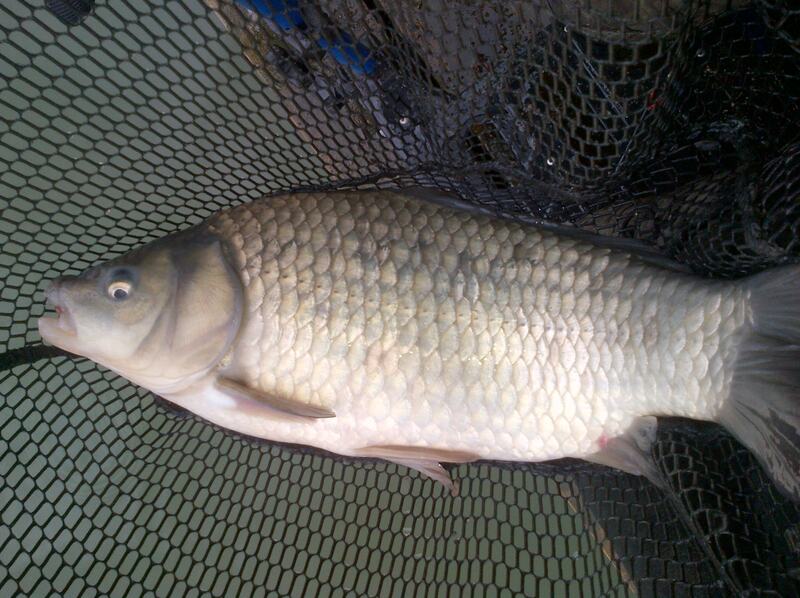 1ft deep , Matrix series three float with 0.12 garbo direct to a size 18 lwg hook and elastic was orange matrix . 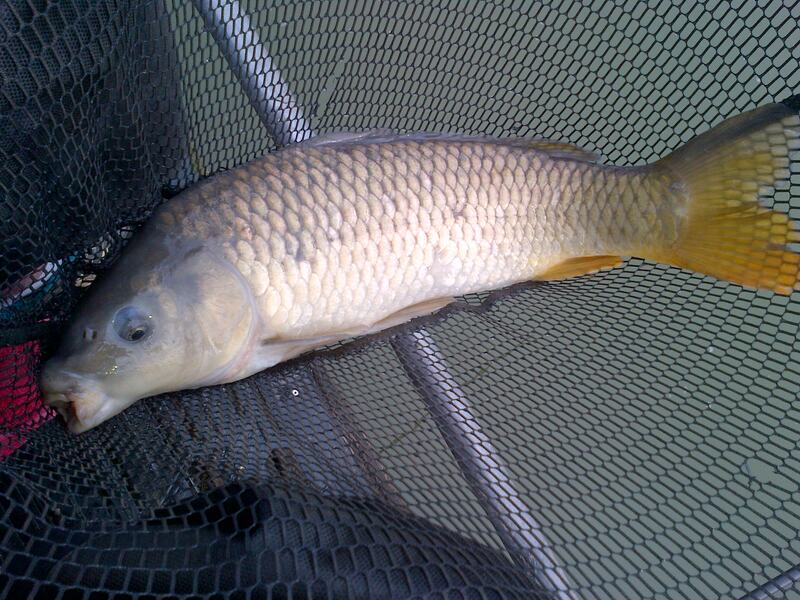 2ft deep , Matrix series three float with 0.12 garbo direct to a size 20 gamma pellet hook and elastic was orange matrix . Margin 2ft deep , Malmam diamond float with 0.16 garbo main line with a 0.14 garbo hook length , the hook was a turbertini 808 and my elastic was yellow matrix . 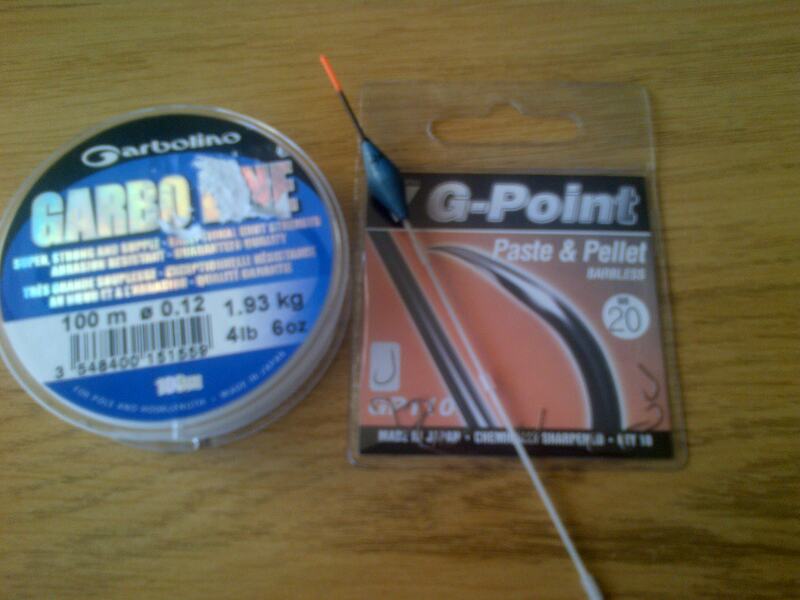 When the whistle went for the all in i shipped out to the far bank reeds , tapped in some micros and lowered my 4mm expander amongst it , despite lifting dropping nothing happened so a re-feed was in order but still no indications maybe they didn’t want pellets today and with this in mind i began flicking maggots towards the bridge to prepare my next line . 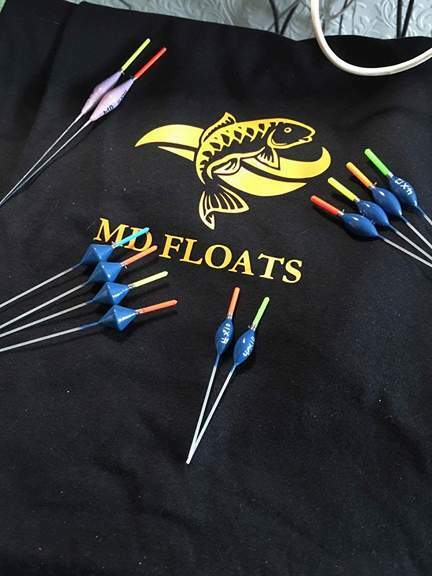 Out of the blue my float dipped and f1 number one hit the net , was this a sign that the fish had arrived but no was the answer and i don’t know if it is me or the time of year but i just can’t seem to get pellets working recently . I decided to give maggots a whirl at the side of the bridge i used the same rig but i altered my shotting pattern to an on the drop rig and decided to trickle in maggots through a big kinder pot to try to concentrate the fish in one spot , this worked a treat with a dozen fish coming in a forty minute spell and i just began thinking that it could be a red-letter day when they started to back off changing depths-feeding patterns brought me a few more fish . 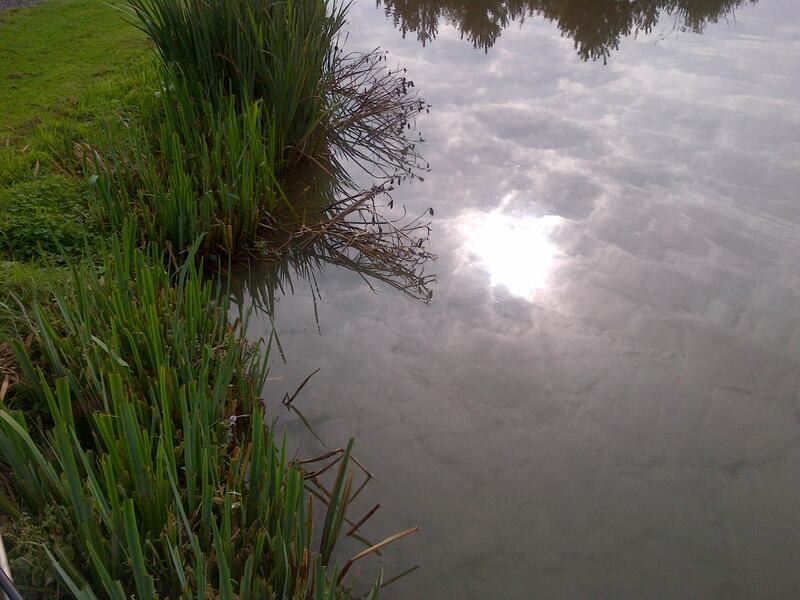 So with half the match remaining i began feeding my left hand margin with three cups of ground-bait and while i let it settle i tried across to the far-bank again this time with maggots but with only a few small rudd-ide to show for it . My first drop on to my margin with paste didn’t get the response that i had hoped for , with very little in the way of line bites or indications on the float a change to a bunch of maggots brought a couple of bites and one that i did connect with was a large carp but unfortunately it popped off the hook within a few seconds so i decided on a re-feed and decided to concentrate my efforts for the time being on my only line that had produced a run of fish which was at the side of the bridge . 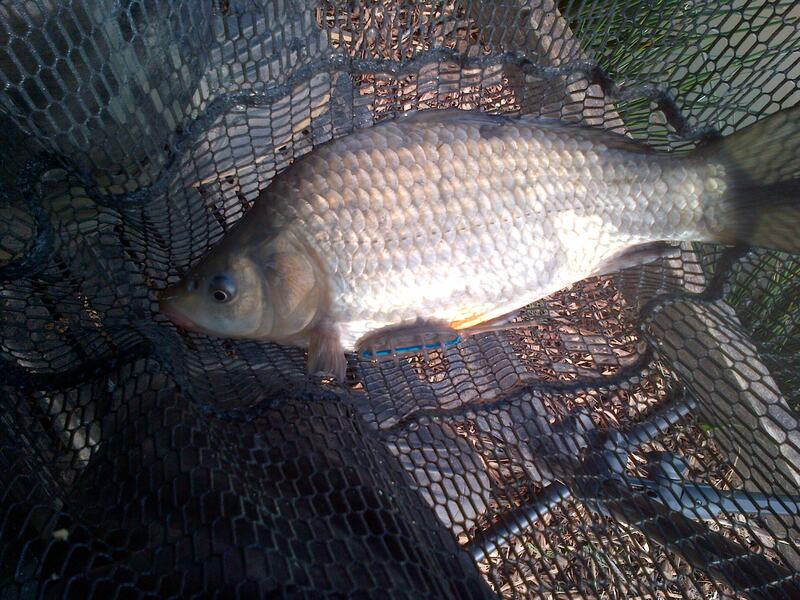 As their was still a few fish cruising through shallow i decided to give my 1 ft rig ago and this was a bit of a master stroke with it producing another good run of fish including a carp of around 4lb which gave me a right runaround under the bridge managing to get caught up on a loose wire hanging from it . But yet again they backed off so a change to cattying in maggots plus going further under the bridge kept the fish coming to the end of the match and the only trouble was the fact that i missed lots of bites because i just couldn’t lift into them as my top kit kept hitting the bridge so i just waited till my elastic ripped out of the pole tip . I did have a few scary moments with the odd big mirror carp taking me right under the bridge and i even landed one with a rig still attached to it but in the main my orange matrix performed really well . When the all out sounded it called time on another eventful match and i felt that i had done ok from my peg but i am sure that it could have produced more if i had just targeted the bridge swim but i always feel that on these open matches you need two lines that will produce you fish and if my margin had produced like last week then a big weight would have been possible , it was hard to asses how well i had done because i could only see one angler in my section and a few in the other section all of which i was confident of beating . When it came to my turn to weigh in my 46 fish went nearly 64lb for another section win but its been awhile since my last one so i am pleased with that and it seems that i do tend to come good as the weather begins to turn cooler , i am off to contest the open match on Sycamore fisheries which is on Rowans canal so lets hope that i can continue my run but unfortunately it will be my last trip to the bank until the beginning of October . After having to endure another weekend away from fishing the previous week due to illness yet again and i cant believe how many times i have been to the doctors since turning forty Must Be Getting Old . 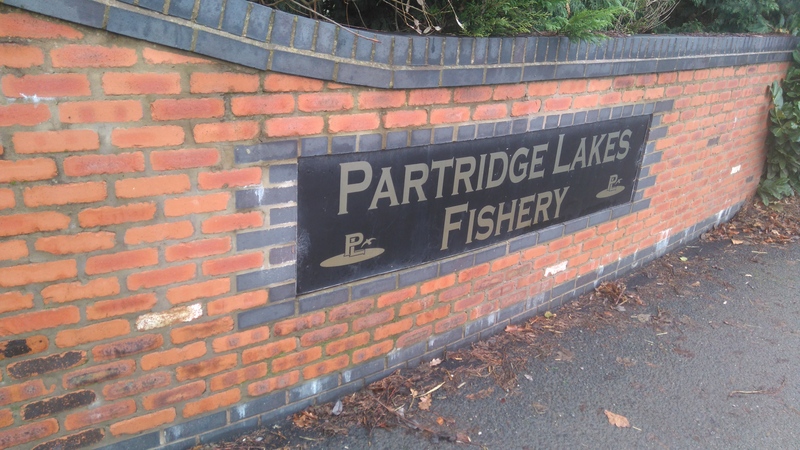 Anyway today i was feeling over the worst of it and was eager to get back on the bank and a return to Partridge lakes was in order , a nice easy 80 peg match to blow away the cobwebs and they definitely where with the weatherman getting it right for once i had 30 mph gusts of wind to contend with and it was bloody freezing but at least it was mainly blue skies with only the odd hail storm thrown in . On arrival at the venue we was greeted to the usual big Sunday crowd of anglers but one person who wasn’t attending today was the new Kamasam match man of the year Andy Bennett who was out busy spending his 5 grand winnings , it couldn’t have happened to a nicer bloke who always has time to answer your questions and on my last match here on covey 6 he had even aloud a few people to sit behind him when he fished and still managed second .It seems that every weekend more and more people are attending which shows how well Partridge lakes is and i cant understand how some people have a dig at the place without having ever fished there . Anyway as me and John was early yet again we decided on a walk round to see just how bad the conditions where that we would be contending with today , to be honest it was pretty bad a bit like Holbar last Wednesday and with the wind ripping through from right to left , so i really didn’t fancy sitting in a head wind today . When we arrived back at the cabin we saw one of our Balmoral club anglers Branny who hadn’t been out for a while Bit Of A Fair Weather Angler but because he had booked yet another coaching session with Andy May for the following Friday he wanted to get back in the grove before then and hopefully he will write it all down so i can put it up on my blog site . When it came to draw time i pulled out peg 27 on covey 2 and i had only fished this covey once which was over 18 months ago when i had blanked so i didn’t really know how best to fish it , John drew a really good peg on covey 4 and i was glad for him when he did the business winning his lake and got 6th catching 52lb of carp plus f1s from in front of the empty platform something he is getting really good at and will hopefully work all summer for him . My match didn’t work out any where as good as you will find out later . On arrival at my peg i was on probably the worst one in the section with it being just off the bend and with the wind ripping round it and my keep net even kept getting blown out it was that bad , with this also being a new area to fish i decided to target it like i would on any peg on covey 1 to 4 . 4×12 and 4×14 set at 3 ft deep with 0.12 garbo main line with a 0.10 garbo 6 inch hook length attached was a size 20 gamma pellet hook , my shotting pattern on both rigs was a spread bulk of size 10 stotz spread an inch apart . My reason for having two rigs at the same depth was that i wanted to see which would work best in the conditions , i used these rigs at both my far bank at 10 meters and on my top kit . 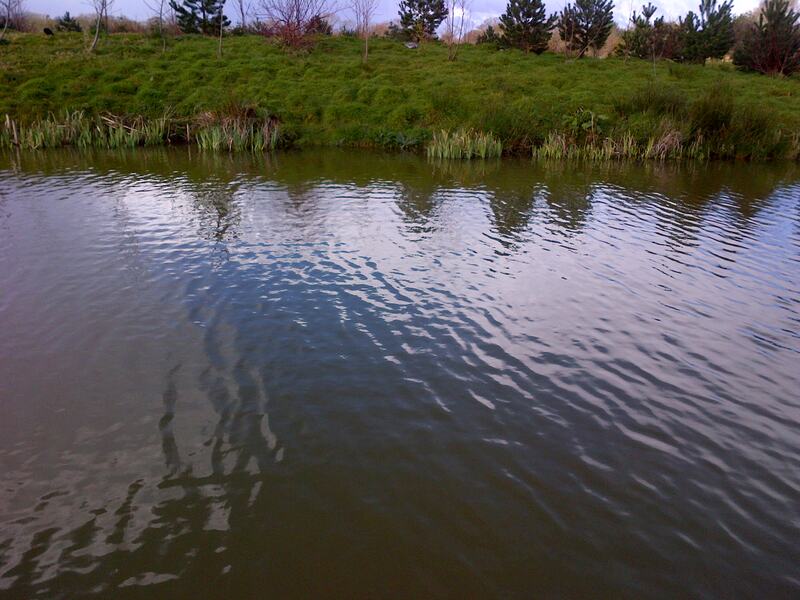 4×16 set 6 foot deep for the channel , i had 0.12 garbo main line with a 0.10 garbo 6 inch hook length attached was a size 18 gamma pellet hook , my shotting pattern was a spread bulk of size 9 stotz spread an inch apart . After thinking about my earlier matches on here about feeding i came to the conclusion that maybe my lowish weights of around 30-40lb was because i wasn’t being aggressive enough and not targeting the 60-80lb needed to frame so today i made a conscious effort to up my feed today and make sure i fed regularly at least every five minutes but i didn’t up my kinder pot size just yet remaining at a medium size due to the recent cold weather , i had contemplated feeding just hard 4 mm pellets with a banded 6 mm on the hook but with the recent drop in temperature i decided to leave this for another warmer day and i had my usual expander-micro-crushed expander combination as back up . At 1015 the all in sounded and i shipped out to 10 meters with a full kinder pot of maggots with a single red on the hook , i began trickling in the maggots over the top of my float about six every minute or so . No indications where forth coming after five minutes so i shipped back in and repeated the process , this time i had an f1 almost instantly .A further 3 or 4 followed in quick succession but the gusty wind was playing havoc with my presentation and my float kept towing the opposite way to it , so i had to push my rig up the slope using the last dropper to anchor it and this brought me a couple more but when i lifted into one that didn’t even register on the float then i deep hooked one slightly i knew this wasn’t working for me . I went back to my original line a bit deeper and picked up a few more fish , in the first hour i had eight nice sized f1s for around 10lb and i was well on my way to my 40 lb target but as usual this was where my match fell to pieces yet again because as i was continuing with my positive feeding plan and the fact that only me was fishing along the far bank which seemed strange to me at the time but my pole was coping well in the conditions and i found out after the match that covey 2 was performing well on top three recently . I think that i drew too many fish into the area i began foul hooking fish and bumping them off at the net plus i latched into a lump which broke my 0.10 hook length some thing that has never happened to me on here before . I decided to leave my maggot line to give it a rest to see if that improves things for later in the match , i set up a new swim one meter to the left but this time i chose to fish pellet but continued with the positive feeding regime with micros this time and i began picking up the odd f1 but it was no way as prolific as the maggot line . My back up plan was the channel swim at 6 meters to the left where i had fed with a small cupping kit full of maggots every thirty minutes since the start but no matter how many times i try doing this i can never get it to work for me and i don’t think that this tactic i will be pursuing in the future , so i will be looking for something else because i feel that on here you need two swims to get the best from your peg and their fore challenge for a framing place . 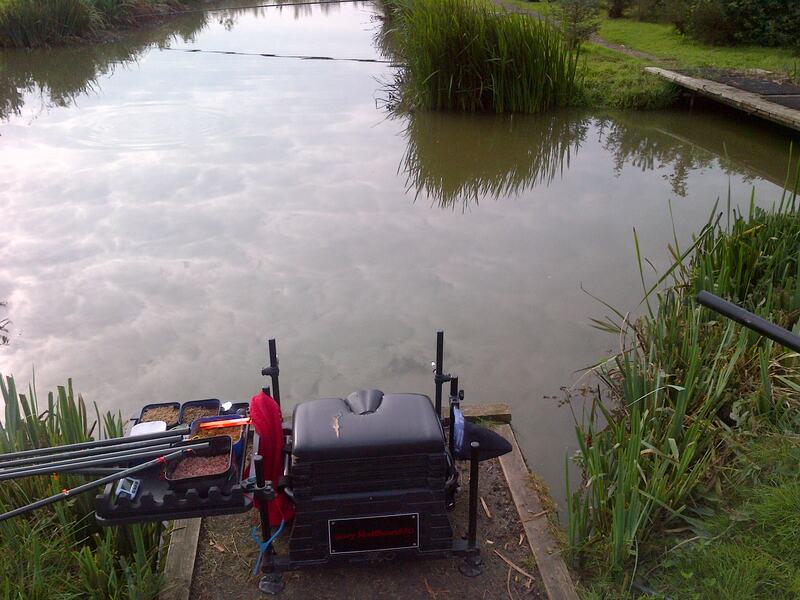 So with just 90 minutes remaining and i was well down in my section so i went back across and re-plumbed up a new swim 2 ft away from my original maggot line , it only took a couple of feeds to get the f1s lined up again but after catching another five fish the same problem as before re-occurred with me missing bites and bumping fish . This time i managed to solve the problem by increasing the hook size to an 18 with double maggot on the hook and taking a size 13 stotz from the rig to show slightly more bristle which in turn would give the f1 a bit longer to take the bait before i struck and i was kicking my self for not trying this sooner . When the all out sounded it was the end of a very frustrating days fishing where only a few things working for me , the positive feeding approach really opened my eyes and i will be looking forward to re-trying it in the next few weeks . Some thing that i will also be looking at is giving my swims more time to produce because at the moment i am too keen to change when really i should be more patient because i think the f1s at Partridge come along in groups and i think you need to catch as many as possible before waiting for the next group to arrive . 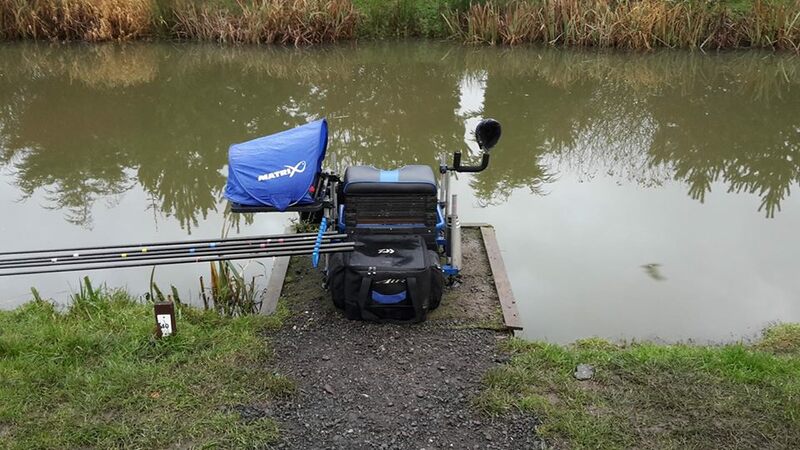 For the record my 19 f1s weighed 22 lb for last in my five peg section , where their was three low 40 lb and a 30 lb net so i was in an area that held some fish but didn’t make the most of it as usual . 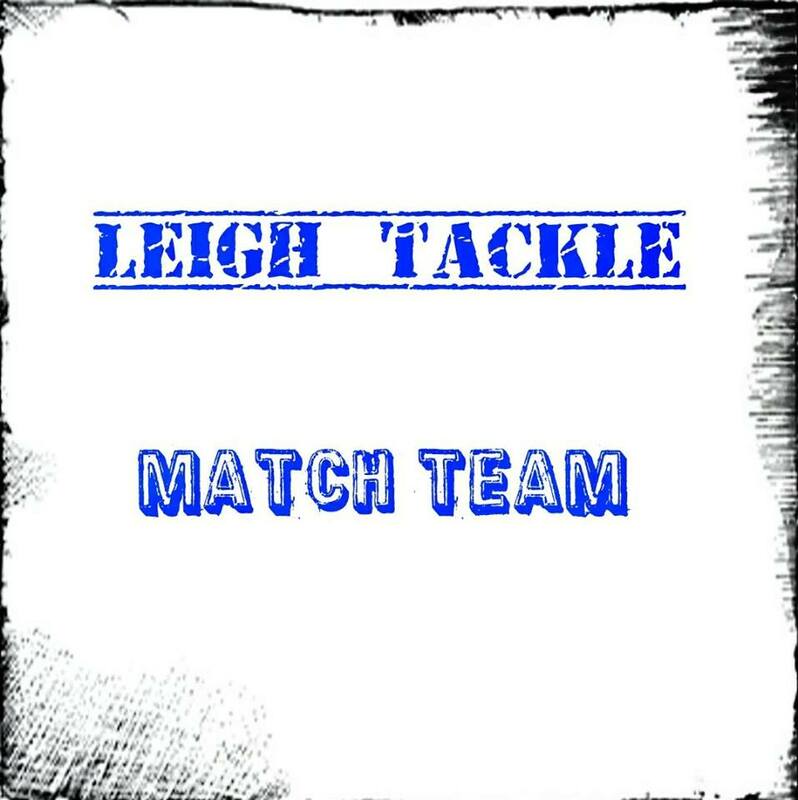 I am going to my local Hewlit fishery for a few hours tomorrow for a bit of shallow fishing and haven’t been for a while , it might be good practice for the up and coming matches at High field fishery one of which will be in the Super cup . So it will be a fortnight before a return to Partridge lakes for the start of the Balmoral club season with a match on Spey canal .